Finding a good hospital is the key to an effective treatment. Whenever we need to get ourselves treated for some disease or need fine medical advice, we always start looking for the best hospital with the team of finest doctors and medical consultants to help us with our medical needs. 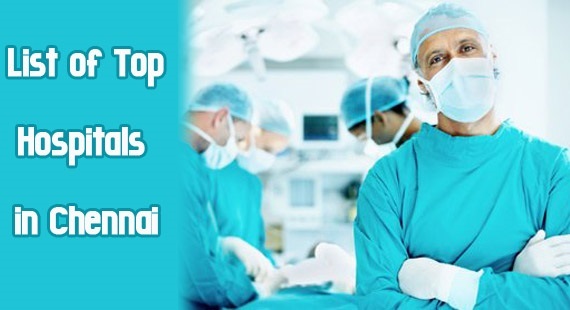 If you are staying in Chennai or looking for getting yourself treated in Chennai then we have this article to help you with the basic information and details about the most popular hospitals in the city which promise the best treatment in Chennai. Established in 1983, Apollo Hospital is one of the most popular hospitals in Chennai. It is famous for its cutting edge medical procedures which guarantee the best treatment to the patients. This is the reason because of which patients not just from India but all over the world visit Chennai for seeking medical help and treatment from the finest doctors. Fortis Malar Hospital is another renowned name in Chennai for finest healthcare and medical services. It is one of the largest corporate hospitals in the city ranks high amongst the patients because of the finest medical treatments. It is a multi-specialty hospital providing quality treatments to patients. It has been attracting patients from different parts of the globe. MIOT Hospital is one of the best hospitals in Chennai. Since its inception in 1999, it has been offering the most effective treatments at the most affordable prices by making the best use of the latest technology in medicine. It was founded by Padamshri Prof Dr. PVA Mohandas. Today, it ranks amongst the top multi-specialty hospitals in the city known for offering an array of medical services. Sri Balaji Hospital is a popular name in health care services in Chennai. It is known for delivering the best modern health care facilities and high class treatments to the patients. It has the team of best doctors and well-qualified surgeons who work with great dedication to cater medical treatment to critical patients. It is a pioneer center in Critical Care. SRM Hospital is one of the most popular hospitals in Chennai. It maintains a fine team of experts from various medical disciplines which ensure the best of the treatment to every patient. It is equipped with the modern technology and cordial staff to make sure that every patient gets the most effective treatment. It offers a wide range of healthcare and medical services to serve every need. Vijaya Hospital is a renowned private healthcare institution which is known for its finest treatment and medical care. It belongs to a trust formed by Sri B. Nagi Reddy and was established in 1972 and since then it has been offering quality medical services to the nation. It offers a wide range of medical services to patients. Established in 1990 by late Dr. Jeganathan, Billroth Hospital is a popular name in healthcare and medical industry. It is a chain of hospitals which offers the best of the medical and surgical treatments to patients. It has a super specialty hospital in R.A. Puram and Shenoy Nagar in Chennai. It promises to offer the most effective treatments at the most affordable prices using the modern technology. Registered with a charitable society since 1982, Madras Medical Mission Hospital was established with the zeal to promote an environment of care, compassion and love to help patients recover in a comfortable and positive environment. This is one of the most famous medical care centers in Chennai. Address: Madras Medical Mission, 4-A, Dr. J. Jayalalitha Nagar, Mogappair, Chennai 600 037, India. CSI Kalyani Hospital is a multi specialty hospital in Chennai which functions as a charitable institution. It is known to provide best medical facilities and treatments to poor and needy at subsidized rates. The aim is to make medical care available to the poorer sections of the society. St. Isabel’s Hospital is a famous hospital from Chennai. With 21 clinic departments, 6 paramedical departments, this hospital specializes in a wide range of medical fields. It has the finest and most caring staff to make patients feel comfortable. Get the complete List of the best hospitals in Mumbai helps in decision making for treatment.